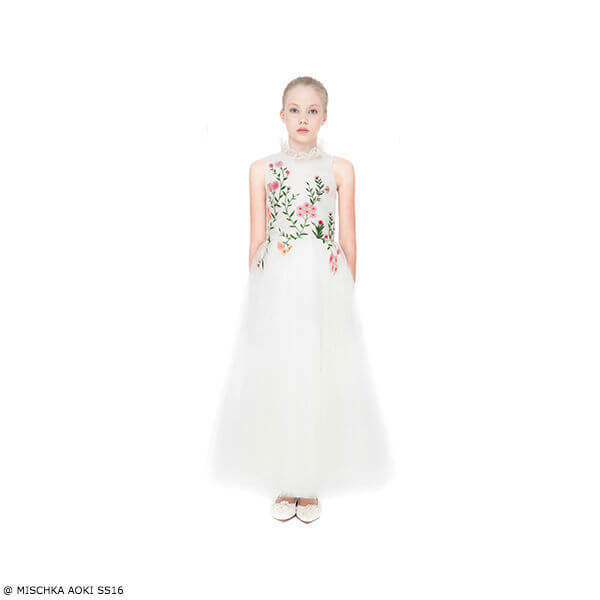 A stunning look for girls this Spring Summer by Mischka Aoki. The perfect sleeveless ivory dress with beautiful pink and green embroidered flowers on the delicate silk chiffon bodice. The neck has chiffon ruffles and there are layers of tulle over the ankle length chiffon and satin skirt, creating a princess-like effect. She'll look perfect wearing this special dress at any special occasion.